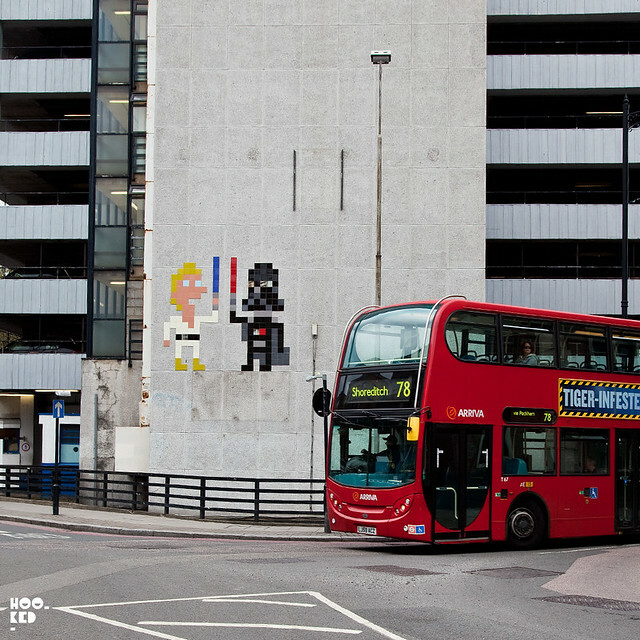 Having built his career around the pixellation of 1970s 8-bit video games it was inevitable that the Paris based street artist Invader would release his own game. 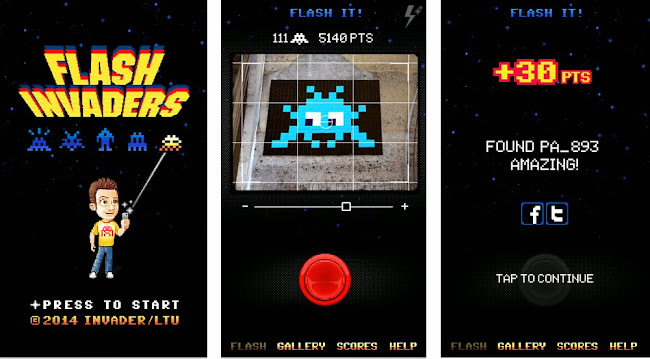 Using mobile phone technology Invader has created the 'FlashInvaders' app, a reality based game on the streets of the invaded Invader cities around the globe. Available for free on iOS and Android, download the FlashInvader app, hit the streets of your city and "flash" as many Space Invader pieces as you can find. The app uses your GPS location and the invader you flash to authenticate the piece and if it's recognised you will score some points. The more you snap the more points you get and move up the games leader board. We love the idea of this street based game for street art fans all competing with each other for the top score, although with well over a 1000 Invader pieces around their city waiting to be flashed, we think the Parisian fans have the advantage! Let the games commence! Good Luck. Download the FlashInvader App for free from the Apple App Store or from Google Play. FlashInvaders images via Invader website.